Will Britain betray ‘the Rock’ for political gain? “If there are no changes, we will veto Brexit.” That was the threat by Spanish Prime Minister Pedro Sánchez on November 22, after Britain changed a clause regarding Gibraltar in the newly agreed draft Brexit declaration. Spain had previously agreed to the draft, which contained a clause that gave it veto power against decisions made by other European Union states regarding Gibraltar. The clause allowed Spain and the United Kingdom to negotiate directly without the participation of other EU states, and required an agreement before any decision could come into force. The UK has reportedly removed that clause from the draft, prompting Spain’s threats. “After my conversation with [British Prime Minister] Theresa May, our positions remain far away. My government will always defend the interests of Spain,” Sánchez posted on Twitter. Even if the Gibraltar issue is settled in the Withdrawal Agreement between the UK and the EU, it will come up again as the two try to negotiate their post-Brexit trading relationship. Spain will have veto power over this deal, while it cannot veto the Withdrawal Agreement. As Britain tries to negotiate an updated trade deal, Spain could hold Gibraltar hostage. Gibraltar is a strategic territory that controls the western end of the Mediterranean Sea. Britain won possession of it in 1713. Spain has hoped to reclaim it for many years and is now using it as a bargaining chip in the Brexit debate. And it is Gibraltar which stands to suffer most from disagreements with Spain. In 1969, during Spanish dictator Francisco Franco’s rule, Gibraltar’s border was closed. This created a time of economic hardship that lasted until the border was fully reopened in 1985, which many still remember today. Though the current Spanish government may not resort to the same measures, it still has the power to force Gibraltar into negotiations simply by applying economic pressure. With a population of over 30,000 and an economy completely reliant on the service sector, this 2.6-square-mile British Overseas Territory largely depends on Spain and the EU for its economic needs. 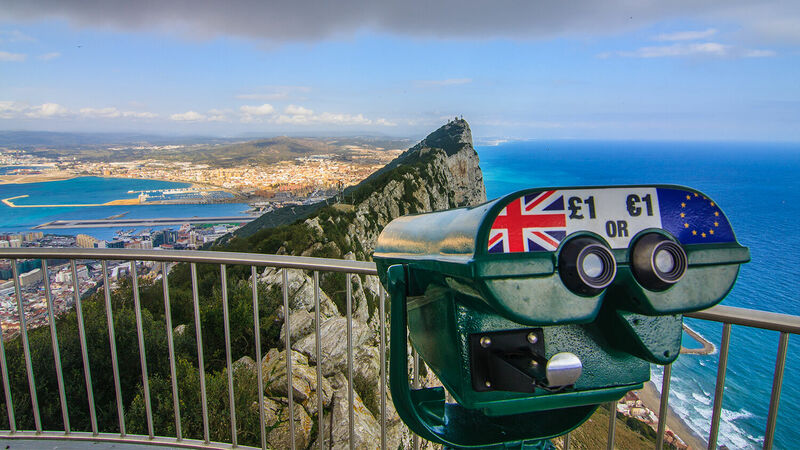 In the Brexit referendum, 96 percent of Gibraltarians voted to remain in the EU, fearing that leaving would give Spain more power to cripple their vulnerable economy and impose longer delays at the border. Gibraltar is staunchly patriotic to Britain, and its citizens have historically been opposed to anything other than British rule. In a 2002 referendum, 98 percent rejected the idea of being under Spanish control or joint-sovereignty of Spain and the UK. Now that recent Brexit negotiations have forced the issue into greater prominence, should we expect anything different? Whoever controls Gibraltar can easily control access to ports in Europe, North Africa and the Middle East. In World War ii, Britain used it as a base for naval, air and army units. Spain has never truly stopped pursuing regaining sovereignty over Gibraltar. In 2002, then-British Prime Minister Tony Blair almost succeeded in secretly surrendering “the Rock” to Spain, considering it “an obstacle” to relations with Europe. With the much greater machinations of Brexit now underway, will pressure to give up Gibraltar finally be successful? Will Britain forfeit Gibraltar for political gain? Almost 70 years ago, one man predicted just that. Of the major sea gates Mr. Armstrong mentioned in the October 1954 Plain Truth, only the Rock of Gibraltar has yet to be surrendered. But there is no shortage of evidence to show that Britain’s grip on it is loosening. “If it were expedient, politically or otherwise, Britain would most probably relinquish Gibraltar,” the Plain Truth declared in September 1974. “In the long run, the British government fully intends to negotiate away Gibraltar,” the August 1982 issue said. Could the disagreement and chaos surrounding Brexit negotiations lead to the unthinkable: Britain losing Gibraltar? And how did Herbert W. Armstrong know, so far ahead of time, that Britain would lose Suez, Hong Kong, the Cape of Good Hope and other sea-gates? All his predictions were founded on a source that few pay any attention to today: Bible prophecy. To read more about how Britain’s loss of strategic territories was specifically prophesied in your Bible, and what the future holds for this once-powerful nation, order your free copies of He Was Right and Herbert W. Armstrong’s book The United States and Britain in Prophecy.